RMSGear Blog: Nice job Jacob! Jacob Haynes of Pagosa Springs, Colorado was our first customer of the 2010 Colorado Big Game season to score on his hunt. This was Jacobs first big game bow kill and he did it by sneaking up on this antelope with a cow decoy...truly one of the most difficult animals to kill by stalking. 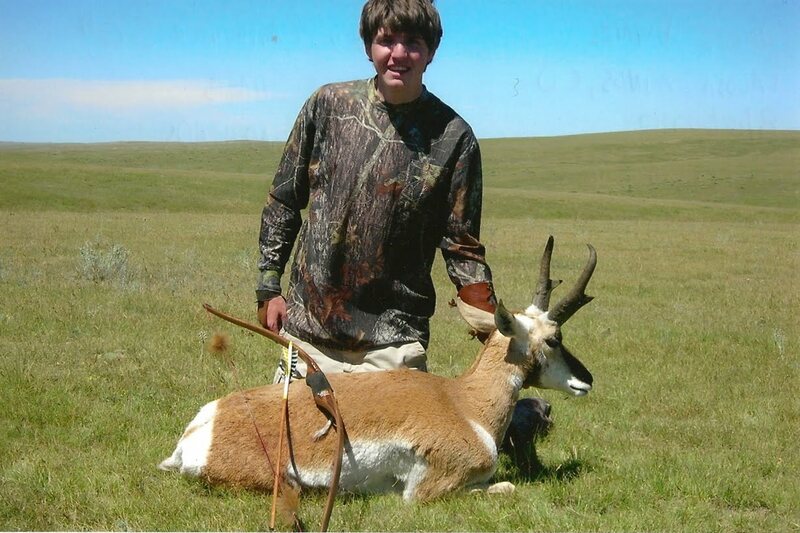 Jacob used a Bighorn Ramhunter longbow and a STOS broadhead on a hexpine wooden arrow shaft. Congrats Jacob! Be sure to check out our Photo Gallery this season for more pictures of successful hunters!